Tiny one photo stories inspired by things you see. It's easy to live for each day when you're young. Your concept of time is much closer to that day to day span. But we all have that age where our understanding of time matches the approximate time we have left and suddenly time becomes much more precious. Apparently, 40 is that age for me. In the past few months, I've been paying much more attention to what I am doing and what I'm not. I've let all my creative outlets slip away and I miss them. I'd like to get back to crafting stories. I'm not sure how I plan to craft them yet. I enjoy writing and photography but I haven't taken either of those seriously in the last few years. So, to ease myself back in, I'm challenging myself to come up with 3 #instafics a week. I haven't looked for others doing this kind of project but I'm not the first to coin #instafic. I have no idea if it "means" something on Instagram but, for me, it's going to be short "stories" inspired by things I see throughout my day. Hopefully, this will force me to actually look for the stories in the world around me instead of waiting for them to tap me on the shoulder. 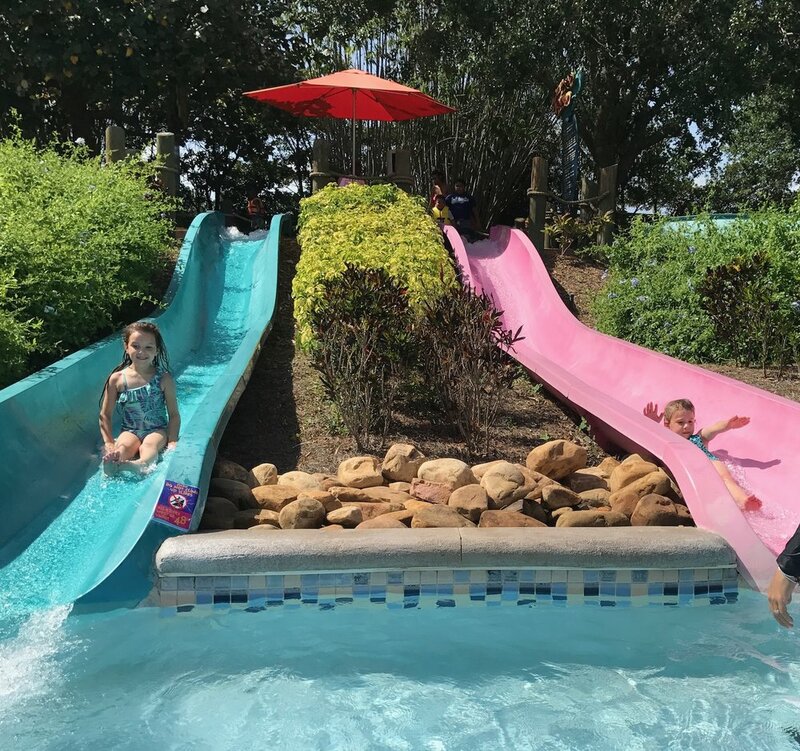 Can't beat the slides at a water park on a hot Florida day... even if that day is Memorial Day and the park is at capacity.